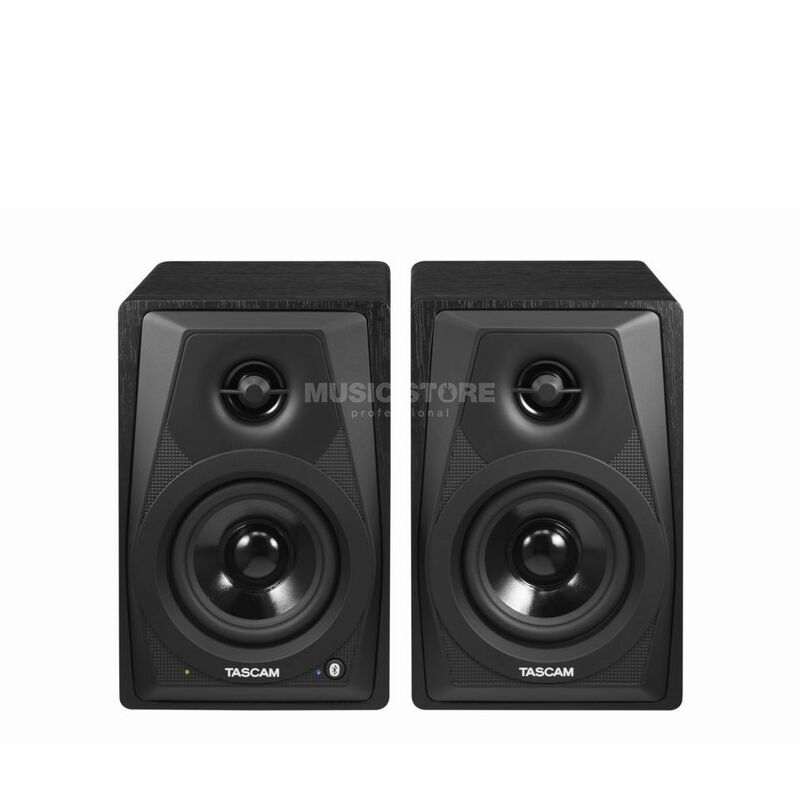 The Tascam VL-S3BT are two-way powered monitors, that include a 3-inch woofer vented by a bass reflex port on the rear to create a surprising punch. A pair of RCA inputs accept any line-level input signal, and a stereo 6.3-mm to RCA cable is included to connect to the jack outputs of your mixer or audio interface. Also available is a 3.5-mm stereo mini jack for playing from smartphones or MP3 players. An efficient stereo power amplifier with 14 Watts per side drives the two monitors. The compact, ported cabinets fit almost anywhere and are ideal for home studios, dorm rooms, or video editing suites.